This minor planet is named after the IBM Naval Ordnance Research Calculator , a unique early vacuum tube computer that was owned by the United States Navy and used for a number of calculations, including calculating pi to over 3000 decimal places, computing the wave function of a helium atom, and performing the orbital calculations of astronomer (and this minor planet's namer) Paul Herget. It is considered to be the first supercomputer, and was the most powerful computer in the world from 1954 to 1963. Because of its complexity, it was never rebooted during its lifetime, instead just running all the time. This meant there was considerable need for operators around the clock. There were a lot of women involved in the NORC project, mainly in clerical positions such as key-punch operators, and as part of the workforce that initially wired the logical components together. Interestingly, it is the only minor planet whose name contains an English article. There are, of course, a number of asteroids whose names contain Spanish articles like "La" and "Las." The symbol of this minor planet is a stylization of one of the logical units of the NORC. 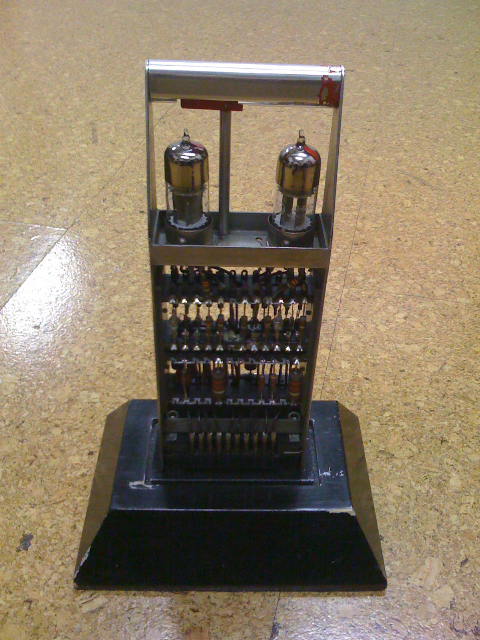 It is a tall rectangle, divided horizontally into four equal segments, and topped with two half-circles, representing the vacuum tubes.